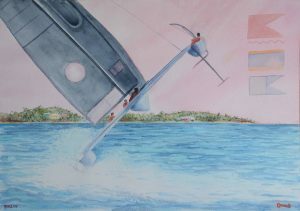 The Great Wave off Kanagawa influence AC35 Japan ! The Great Wave off Kanagawa is a woodblock print by the Japanese ukiyo-e artist Hokusai. 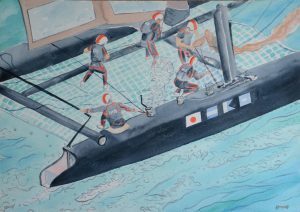 The Japanesse Catamaran racing in the America’s Cup in Bermuda was during a short moment under the direct influence of the remnants of that great Wave… [Lire la suite…] à proposThe Great Wave off Kanagawa influence AC35 Japan !